I have mixed views on Jordan Peterson. He’s clearly an intelligent individual and for better or worse he has captured the hearts and minds of huge numbers of people.I find some of his output valuable, and some of it has me scratching my head. This is ok though. I’ve realised that if you expect individuals to be on-point on absolutely everything, then you are going to have a bad time. Despite the points of disagreement between them, both men conducted themselves respectfully and engaged in a constructive manner for which they should be praised. In other spheres, Peterson is known for railing against the infuriating postmodernist way of using language in such a way that is so elastic as to be utterly meaningless. However, it’s clear to me that this is the precise way in which Peterson operates where the question of god is concerned. For instance, at one point Dillahunty makes the claim that decapitation would be bad for human ‘well-being’. Astonishingly, Peterson attempts to argue against that proposition, playing a game of “it depends on how you define well-being”. Peterson also espouses deeply unsophisticated attitudes towards atheists. On the one hand he claims to respect them, but then denies their entire existence by saying they are not godless, they “just think they are”. In another conversation, when Peterson was asked to confirm whether god was “fact or fantasy”, Peterson answered with “Why can’t it be both?”. This is garden variety ‘hide the ball’ apologetics and is not indicative of a critical thinker, or at least a consistent one. I’m pleased to say none of this got by Matt Dillahunty. Matt is far too experienced to be bamboozled by Peterson’s verbose obfuscation. I also admire Peterson but have a hard time trying to square his religious meanderings, however it’s not important for me to seek 100% uniformity with other people’s views. There are far too many people currently doing just that, at the detriment of civil discourse which is fueling the polarization we are now seeing. The man is much too valuable in this fractious social/political landscape we find ourselves in to simply disregard because a portion off what he says that might be deemed unpalatable. I watched the conversation and agree, that although I admire Peterson’s fight against political correctness, and agree with many of his other stances, he is away with the fairies on this subject. Did you see the conversation in another video that he claims to have experienced a ghost in a restaurant? I enjoy hearing him demolish the post-modern / gender studies / SJW shite but when he gets onto Jung, archetypes, Pinocchio and God, he loses me. Thanks so much for linking to this, I hadn’t seen it. I thought Matt did well considering some of the bewildering and meandering nested statements by JP. 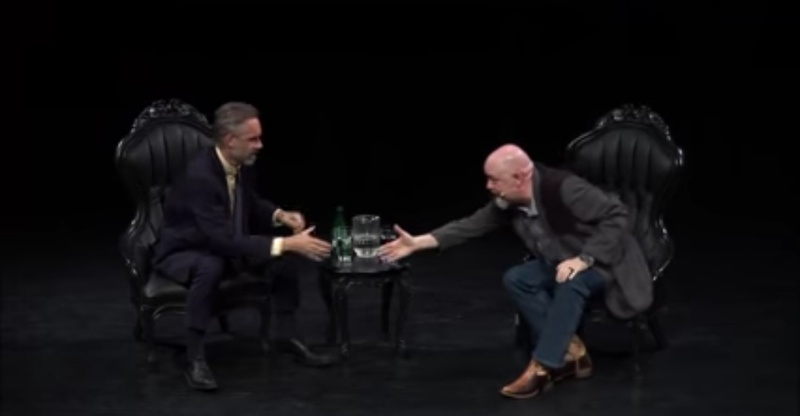 I’m going to see JP with Harris and Murray in Dublin and expect Sam to have a hard time with 2 Christian apologists he otherwise agrees with. 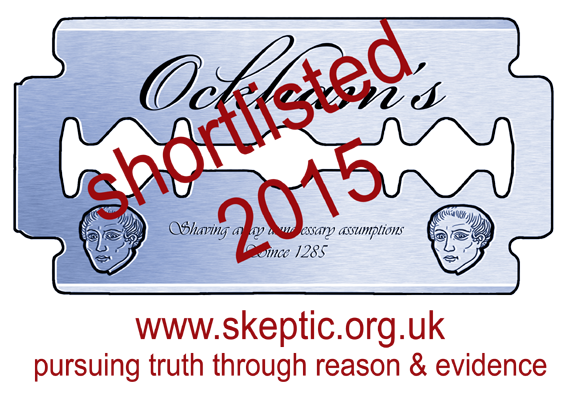 I presume Most of us here are atheists, I certainly am. But lets not forget that there are still millions of people who still believe in God and who get a lot of contentment and purpose out of their beliefs however nonsensical they seem to us. I am a great fan of JP’s and frankly his religious views are virtually irrelevant to me and everything else he talks about. I am pretty sure he is an atheist but he just doesn’t want to admit it because he is well aware of the spiritual vacuum that has been visited on so many people since the collapse of Christianity in Europe and he doesn’t want to exacerbate that sore because he is still a practising psychologist and is no doubt very aware of the sensitivity of religion to many of his patients. He hardly ever talks about it himself which suits me just fine. I wish dillahunty had asked a version of boghossians outsider test of faith. JP, despite being laser accurate on other subjects, seems snagged on Christianity yet all his religious statements are so non specific they could apply to any god. Elsewhere JP had mentioned he doesn’t know enough about Islam to comment well on it, that could be an opening to ask “well how are you sure that the Christian claims are true and not the Islamic claims?” Or something of the sort.